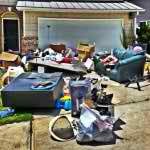 Stand Up Guys Junk Removal proudly serve all of Tampa and the entire Tampa Bay Area. We offer Tampa all of our awesome services, including: Residential junk removal, commercial junk removal, property management, light demolitions and much much more. If you live in the Greater Tampa Bay area and are in need of a junk removal company, look no further than the Stand Up Guys. We’ve got your back. We’ve built our strong reputation throughout the years with our solid base of customer service, quality and care. That is exactly what you will get with the Stand Up Guys Junk Removal Crew 100% of the time. The Stand Up Guys that come to your home or place of business are always clean cut, honest and respectful of both you and your home or business. 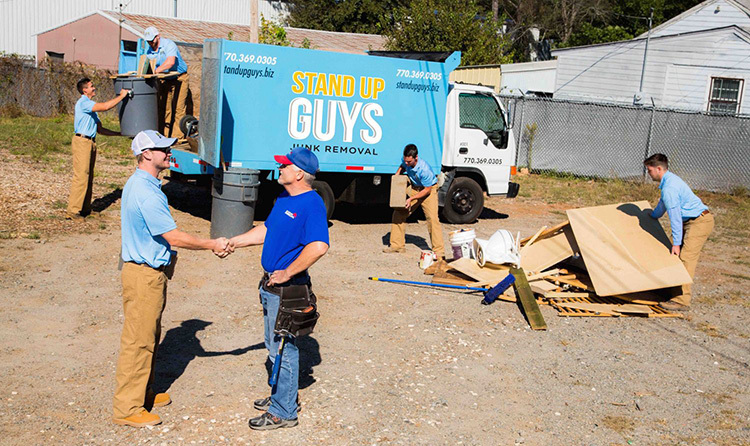 The Stand Up Guys Junk Removal Crew love the city of Tampa, and that is why we give back as much as well can. We try and do our part by donating and/or recycling every possible item we can. 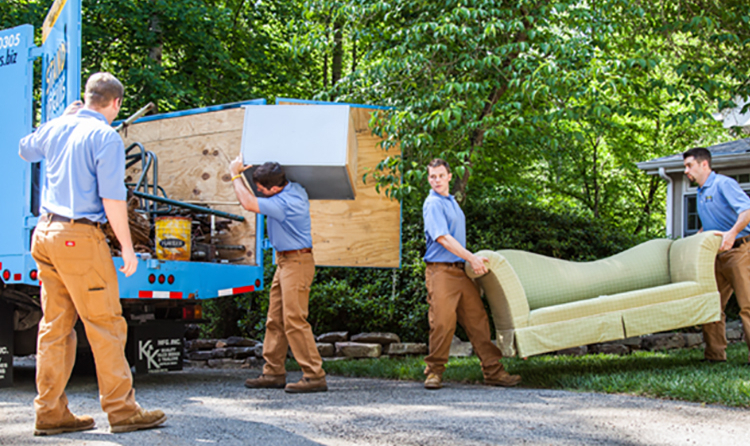 When we remove your junk, we don’t just drive straight to the landfill and dump it off. No, we do everything we can to try and find it a new home. It helps the people in need in Tampa and it saves the environment from one less thing being tossed away. Tampa is a wonderful and vast city, and is growing at an incredible rate. Once you’ve been here once, you never forget. The population inside the city is upwards of 346,000 people, each and everyone of which the Stand Up Guys cater to. When you factor in the entire metropolitan area there are right about 4 million residents and counting. We’re not the only ones that think Tampa is a great city either. Forbes Magazine ranked Tampa 5th overall of Best Outside Cities. You can’t beat the awesome Tampa weather. Tampa was also ranked number 1 for best “20 somethings” city. The Stand Up Guys cover all of Tampa and its incredible residents, from the Sunshine Skyway Bridge to the Tampa Theatre and everywhere in between. 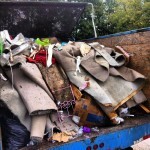 You won’t find a better Tamp Junk Removal Company than the Stand Up Guys! 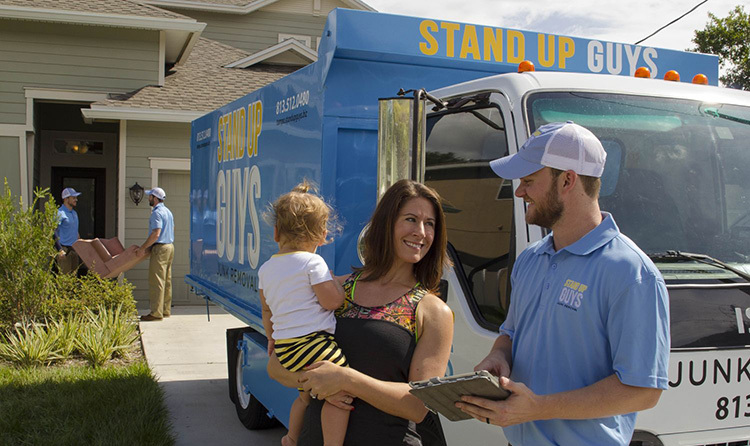 The Stand Up Guys Junk Removal Crew cover all of Tampa and the surrounding cities from our central location at 1907 W. Kennedy Blvd Tampa, FL 33606.